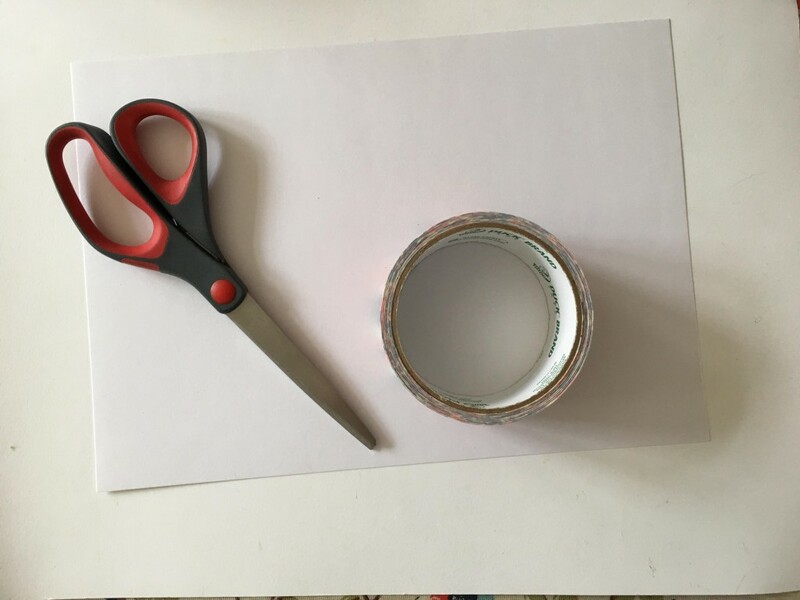 Hello everyone, Jenny from the gingerbread house blog back with another craft to inspire you. 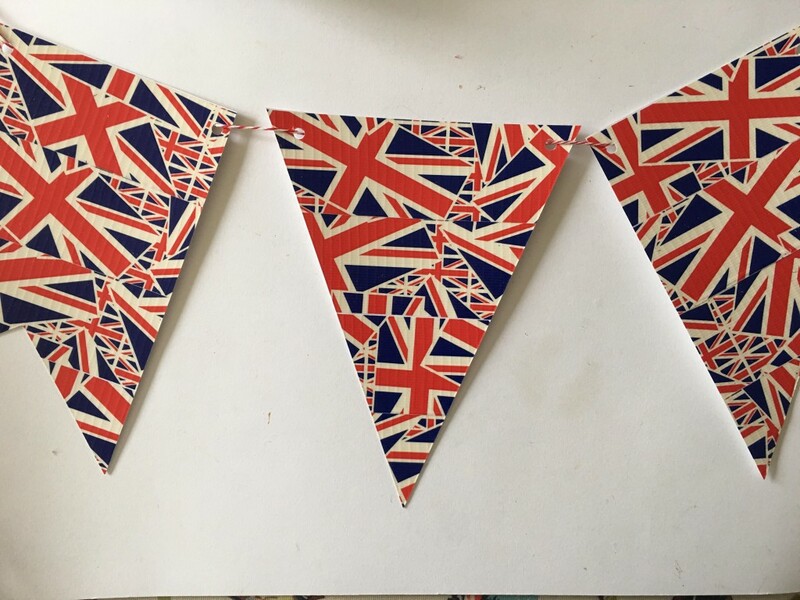 With The Queen's official 90th birthday celebrations taking place over the next few days in London I thought I would make some special Union flag-inspired bunting. 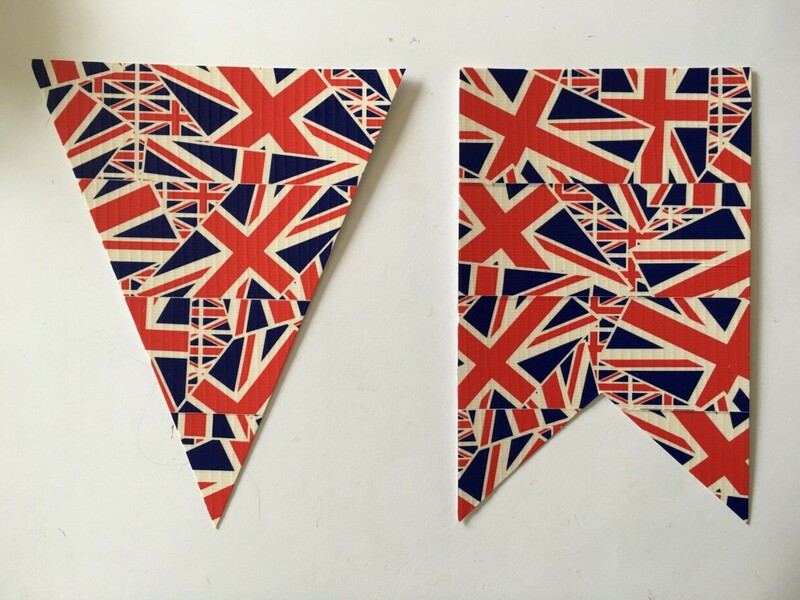 I was recently sent the Sizzix Bigz Plus Die - Bunting (661173) which features two different bunting flag shapes. I found a fun patterned tape I wanted to use so needed to create patterned sheets. 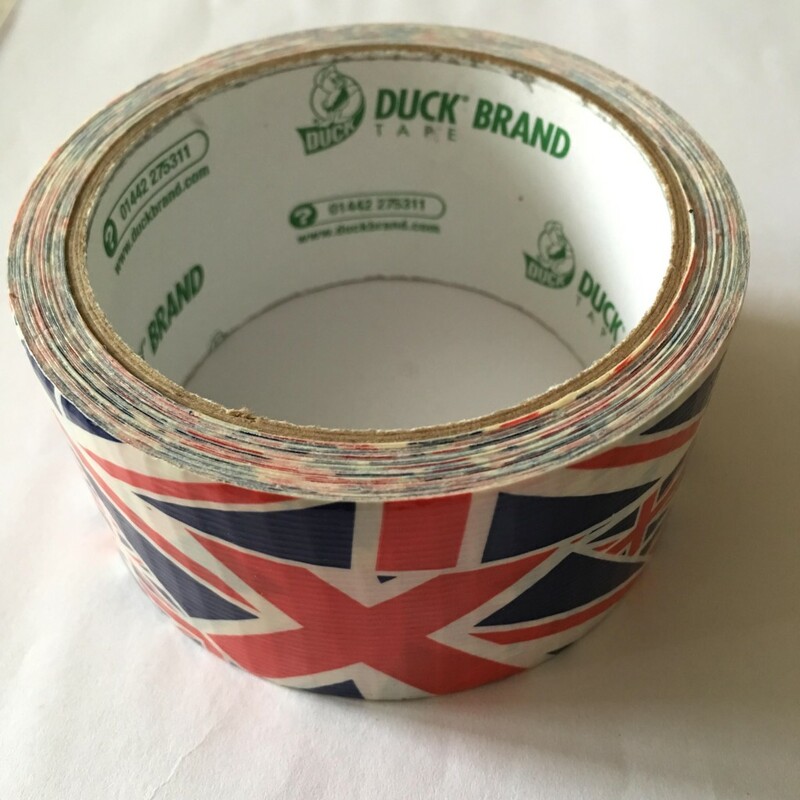 I did this by covering A4 sheets of card in strips of the patterned tape. 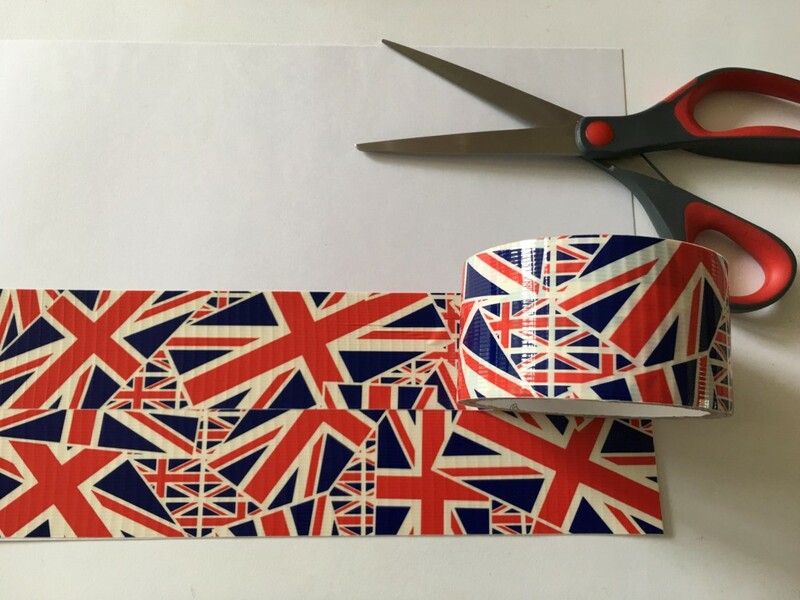 Using these I cut out both types of bunting flag several times. I used a hole punch to make holes at the top of each flag which I threaded with string to hang. 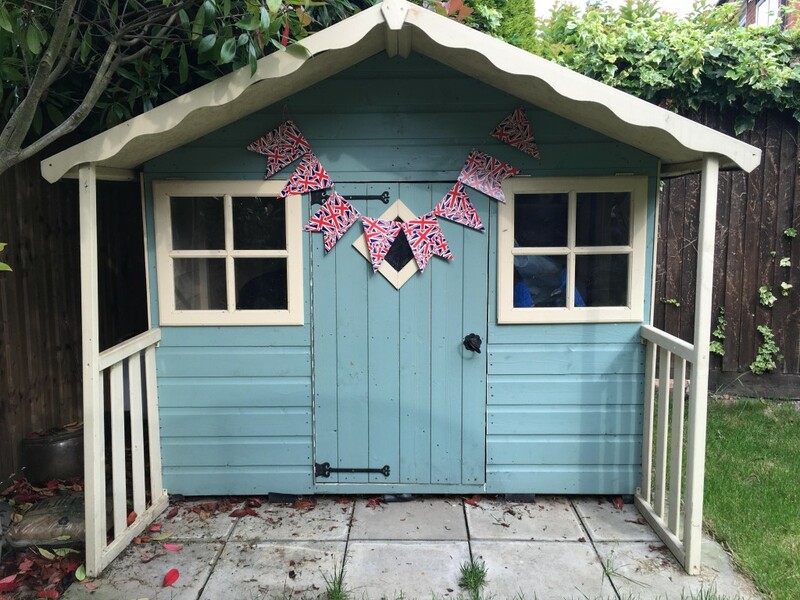 I've hung my bunting outside on the children's playhouse. Fingers crossed for some sunshine so we can spend the weekend outside and join in the celebrations.